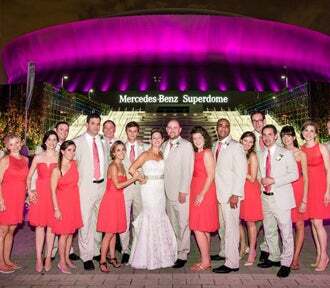 The Mercedes-Benz Superdome is committed to providing memorable experiences while ensuring the safety and security of all guests. If you are a guest that has lost an item at the stadium, please fill out the online form below. Guests who have lost their items while visiting the Mercedes-Benz Superdome are encouraged to visit one of the Guest Services Stations located within the stadium on the main and upper concourses during the event. Items that have been found are turned into these locations during events. All lost and found items for that event will be located at Guest Services located on the Gate A Plaza Level. Guests can also inquire from home about lost items by filling out the Lost and Found Form below. Once a lost and found form is submitted, please allow one (1) business day for a response. Guests will only receive an email if the missing item is found. The Mercedes-Benz Superdome will make its best efforts to match found items with those reported lost by guests. Guests can contact us about a lost item through the lost and found form below or email [email protected] if you are unable to complete the form online.